Monday Night Football on December 6, 2010 should be a good matchup between two AFC East rivals, the Jets and the Patriots, with both teams sitting at 9-2. These two teams are not only fighting for bragging rights for top spot in their division, but also for the best record in the NFL. The Jets are coming into the game with a four game winning streak, and the Patriots have their own three game winning streak they would like to extend. The New York Jets lost their very first game of the season at home in their new stadium to the Baltimore Ravens 9-10. Their very next game was at home against the New England Patriots. The Jets ended up winning that game 28-14 by shutting out the Patriots in the second half. The only other loss so far this year for the Jets came after their bye week. They were playing at home, but were shut out by Green Bay 9-0, with neither team scoring a touchdown. Since that shutout, the Jets are 4-0, averaging 26.25 points per game, while allowing 19.25 points per game, which is pretty close to their season averages. The Jets are 4th in the National Football League, averaging 148.1 rushing yards per game. The New England Patriots lost their second game of the season to the New York Jets 14-28. They then went on to win five straight games until they were upended in Cleveland by a score of 14-34. It was the second time of the season they scored a low of 14 points, and their second loss of the season. The Patriots went on a three game winning streak after that, averaging 38.33 points per game (8 more than their season average), while only giving up 26 points per game. The Patriots are 1st in the league, averaging 30.4 points per game. The New England Patriots have a few things going for them in this game. First of all, they are playing at home, where they have won 25 straight games in which Tom Brady has been the starting quarterback. Tom Brady has thrown 23 touchdowns to only 4 interceptions this year, and has a quarterback rating of 105.8. 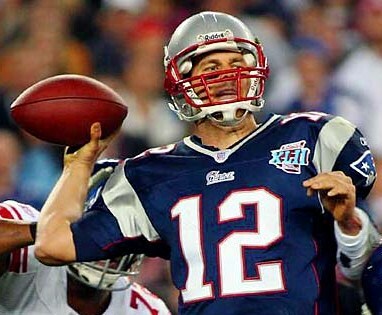 He has also won three Superbowls’ in 11 years in the league. The Patriots were embarrassed by committing three turnovers (2 int, 1 fumble) in their first meeting with the Jets, while the Jets had 0 turnovers. Since the Jets won their first meeting, the Patriots need to win in order to avoid falling behind the Jets by two games in the standings. The Jets, on the other hand, have gone 5-0 in their road games this season, and have won eight in a row on the road. 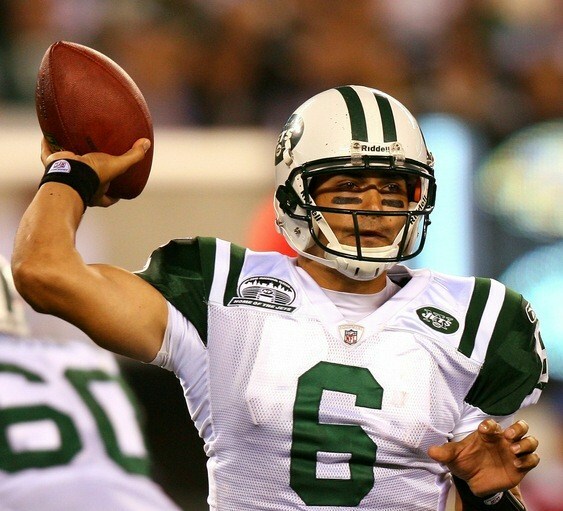 Mark Sanchez is only in his second year in the NFL, and has thrown 16 touchdowns with 8 interceptions. His quarterback rating is 81.9. Both teams are comparable on offense, with the difference in total yards per game by each team just over 12 yards, and the total difference in time of possession just over 4 minutes. On paper, the Jets look to have the advantage on defense. They are allowing 100 yards less per game than the Patriots, and allowing less than 87 yards rushing per game. The Jets are also allowing only 35.9% third down conversion by their opponents, while the Patriots are allowing almost 51% third down conversion by their opponents. The Jets could make a major statement with another win over their rivals. Rex Ryan would love to be the first team ever to sweep the Patriots since Bill Belichick and Tom Brady have been with the team. ~ by Troy Erickson Realtor on December 6, 2010.